Holi is a Spring festival celebrated across India,It is also called as Festival of Colours ,It also indicates the Start of Spring season after the Winter .People celebrate Holi by throwing colours and colour waters. As a thumb rule in all Indian Festivals Foods play an important Role .Some of the Customary Holi foods are Bhang, Thandai, Gujiya, Milk Peda and many more. I have created a collection of Holi Recipes from my blog. Enjoy the festival with the happiness and good food. 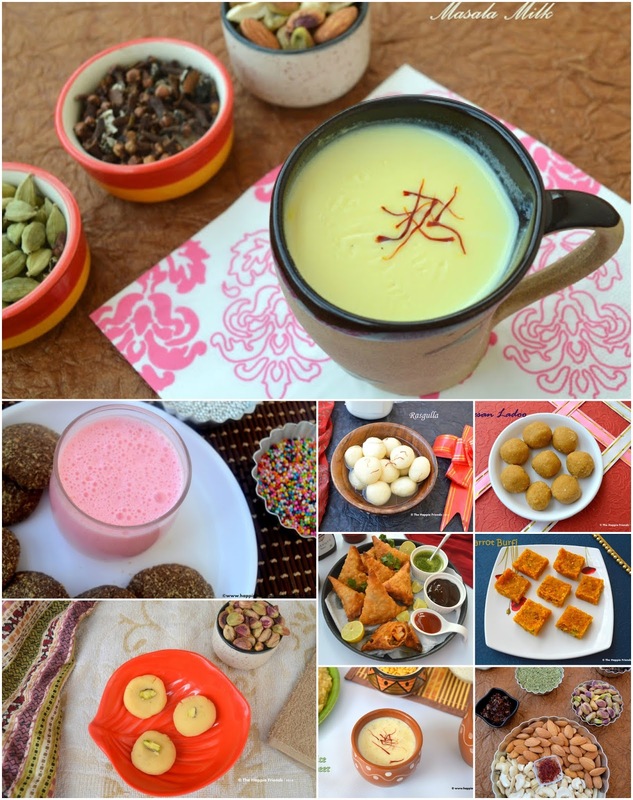 A great collection of recipes for Holi!